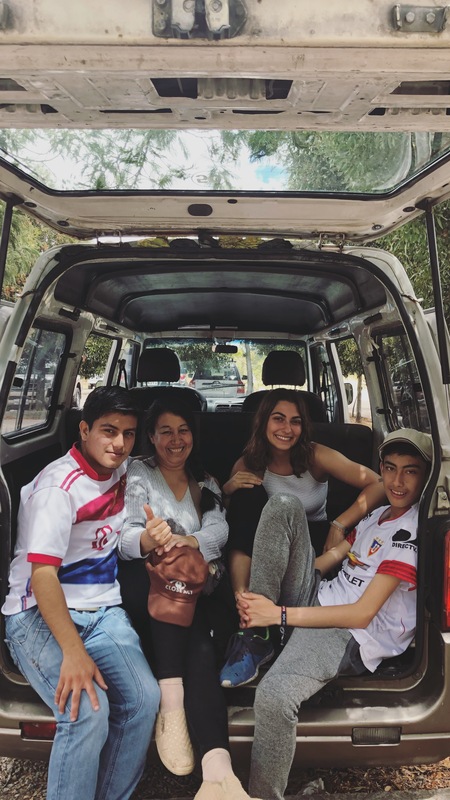 Three weeks ago Selin Wendt (19) arrived in Quito to join Local Dreamers. To be the only non-Dutchman is not always easy, but Selin, half German and half Turkish, found her place in the group right away and it’s like she’s been working here for months. We asked her about her experiences so far. ”Hi, I‘m Selin and I’m 19 years old. I‘ve been here, with Local Dreamers in Quito, for almost three weeks now. In total I‘ll stay for six month though. I really am looking forward exploring as much things as possible during my stay! A normal day at work starts at 9am and ends at 6pm. We usually grab lunch together and most days of the week we spend time together afterwards as well. Since I‘ve been here we had movie nights at Thursdays which is really fun. Moreover, we went out to go partying and dancing at the weekend. An also very popular event of the foundation is the Pub Quiz. It’s a quiz taking place every Tuesday at a pub called Finn McCool’s. The foundation organizes the quiz to raise some money in order to support their projects. It’s really fun! At the weekend my family does trips with me around Quito. I already saw some beautiful parks and buildings. By the way it’s amazing to see Quito at night because the lights of the city shine so bright. I also met my host family’s huge family and we celebrated my host brother’s cumpleaños (birthday) together. This month all the volunteers and interns will go on a trip to Montañita, which is a small village at the coast. Every now and then we travel around Ecuador to explore new places. Last week, for example, we went to Otavalo, a village with a very impressive marketplace.